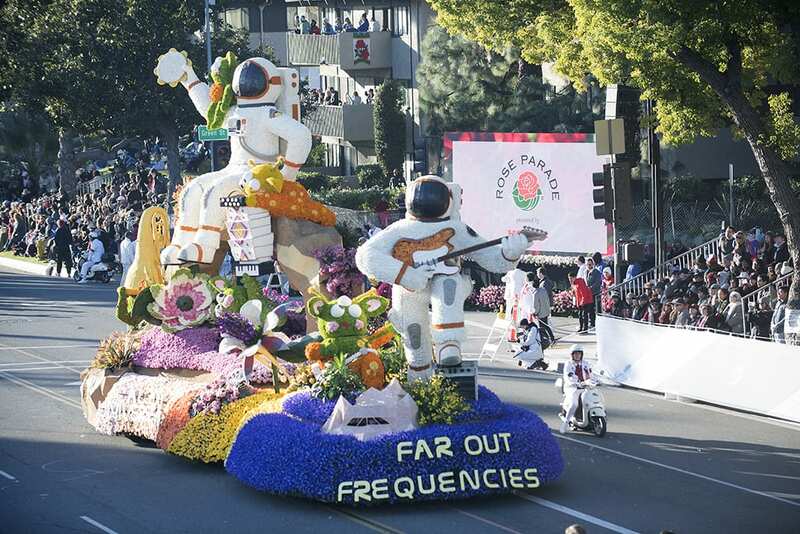 The Cal Poly Universities Rose Parade entry, Far Out Frequencies, makes its way along the parade route. A student-designed float — decked with 17,000-plus flowers, most of them grown in California — earned the Extraordinaire Award for “most extraordinary float” during this year’s 130th annual Pasadena Tournament of Roses parade on Jan. 1. Students from California Polytechnic State University, San Luis Obispo and California Polytechnic State University, Pomona, worked together on their “Far Out Frequencies” float, which included astronauts and aliens playing musical instruments — a nod to the 2019 parade’s theme, “A Melody of Life.” This year’s parade included a record number of musical elements, part of the new executive team’s goal to “[layer] in new entertainment features” and attract a bigger audience. For the eighth year, the Cal Poly float, the only student-built entry in the parade, also earned California Grown certification, a designation from the California Cut Flower Commission (CCFC)and reserved for entries that use at least 85 percent California-grown flowers and greens in their floral decorations. Cal Poly used 91 percent California-grown product, including some flowers the students grew themselves. Along with the famous floral floats, the parade has long featured marching bands and equestrian units. This year’s parade included the most musical elements in its history, opening with 10-time Grammy award winner Chaka Khan (this year’s Grand Marshal) and closing with multi-platinum pop artist Anne-Marie. Musical numbers were also featured on the floats themselves. The entertainment elements of this year’s parade fit the theme, but they also reflected a shift in strategy and management. In February 2017, a new executive director, David Eads, came on board. Among the challenges he faced: rising costs and the need to reach a wider demographic in an era when a national television broadcast is not the one-size-fits-all vehicle that it once was. To facilitate the effort, Eads created a development department headed by Amy Kule, a former executive producer of the Macy’s Thanksgiving Day Parade and Macy’s 4th of July Fireworks show. Those changes raised flags for some people within the floral industry, who worried the parade might be moving away from its flower focus. Before this year’s parade, Eads insisted that wasn’t the case. “What we’re trying to look at is, how do we make the parade more entertaining, both for the people on the parade route and for the people at home,” Eads said. “Not a lot of things have been around for 130 years, so we’re very proud of our longevity. 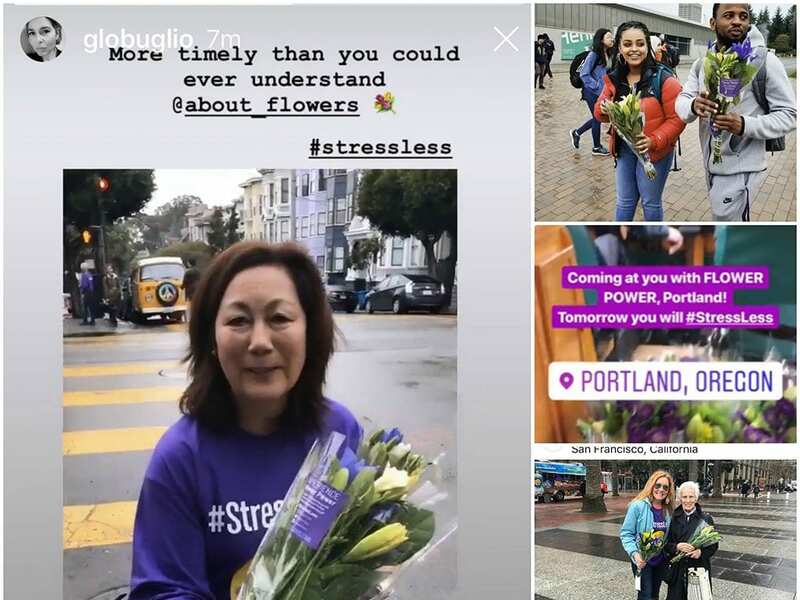 Still, some floral industry members who have contributed to the parade for years took issue with this year’s show-biz twists. “As floral artists, it breaks our hearts to see the Tournament of Roses parade stray away from their 129 years of tradition in order to channel a younger audience, changing the focus from floral art to entertainment value,” said longtime float designer Bobby G. Eldridge, AIFD, of Prestigious Affairs in Seymour, Indiana. On social media, some critics also lamented that HGTV no longer hosts the broadcast, along with the higher profile given to brand names and products of commercial sponsors. 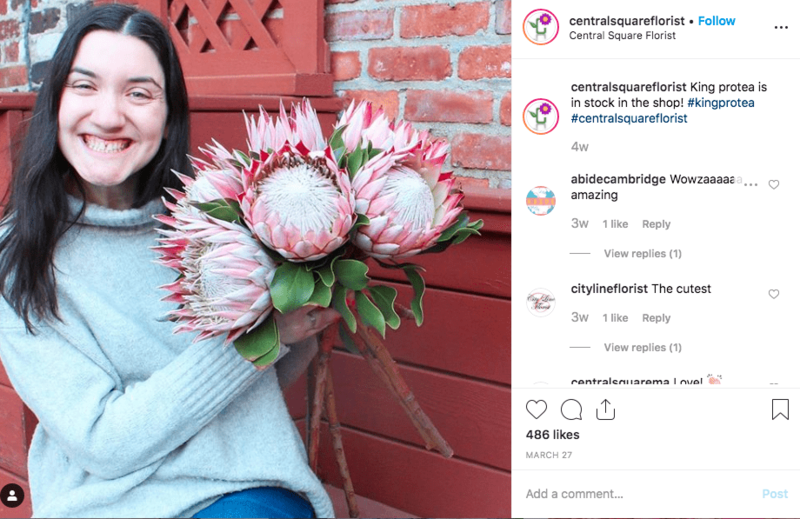 But others said they were more than satisfied with the quality of this year’s design and with the weight given to florals in the parade overall. Kim Oldis, AIFD, was one of this year’s three float judges. A past president of the American Institute of Floral Designers, Oldis herself designed floats for the parade for seven years. Floral and entertainment elements don’t have to be a zero-sum game; they can mesh and complement each other, noted Keith White, AIFD, who designed florals for the VIP entry cars, sponsored by FTD, a long-standing sponsor of the parade. “It’s like a design competition, where people interpret the theme in float design,” he said. The scoring methodology used this year actually gave more emphasis to the floral element, according to director and chair of judging Steve Perry. CCFC’s California Grown initiative at the parade was launched in part to highlight the diversity of the state’s flowers and greens and to promote California growers. This year, nine Rose Parade entries, including the Cal Poly team, earned the California Grown certification, the highest number of entries to receive the designation since CCFC launched it. In the overall parade, the Sierra Madre Rose Float Association won the Director Award for its self-built “Harmony’s Garden.” The award recognizes “most outstanding artistic design and use of floral and non-floral materials.” The UPS Store Inc. won the Sweepstakes Award for “Books Keep Us on Our Toes,” built by Fiesta. That award honors “most beautiful entry: encompassing float design, floral presentation and entertainment.” See a full list of float winners. 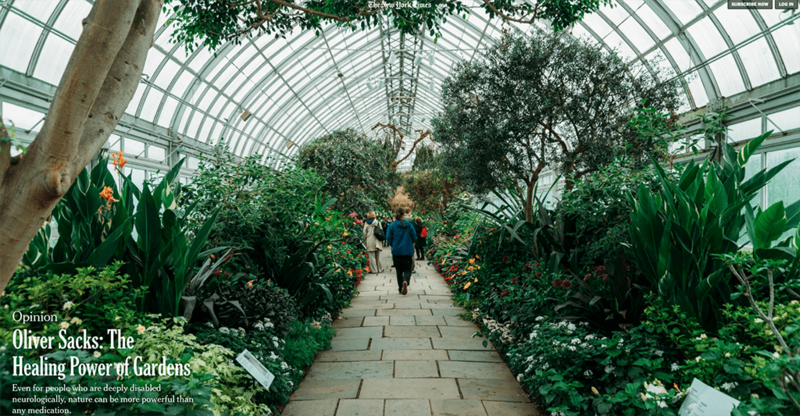 Bruce Wright is a contributing writer for the Society of American Florists.